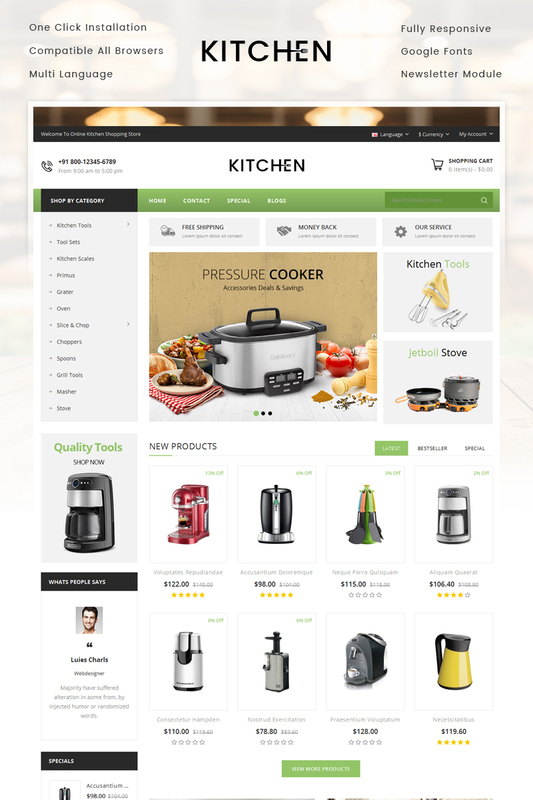 Kitchen Store Opencart Responsive template is designed for Home Appliance, Electronic, Pizza, Food, Coffee, Bakery, Wine, Organic, Furniture, Fashion, minimal, and multi purpose stores. 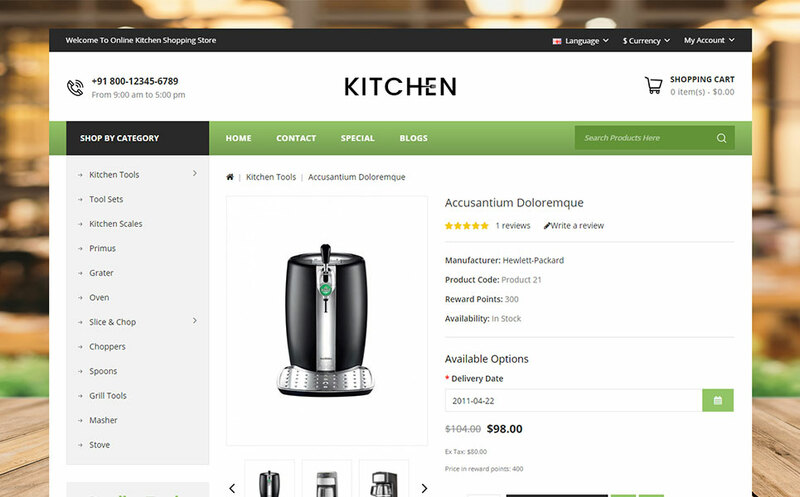 his opencart template is 100% responsive with all devices and compatible with all browsers. 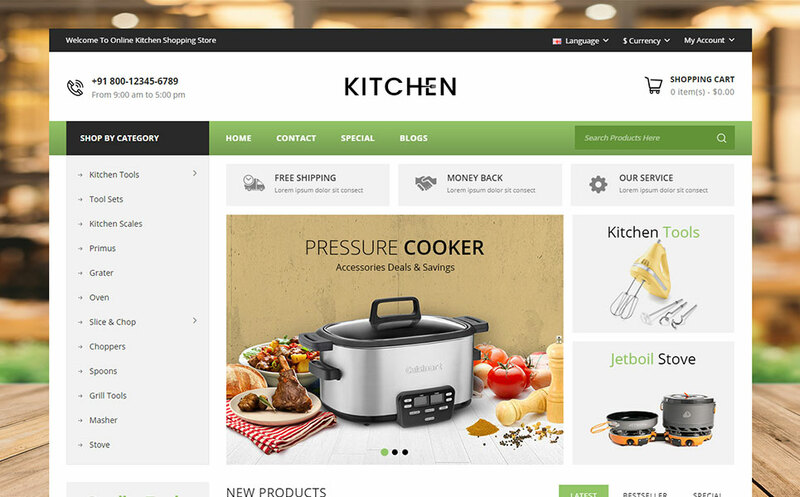 This theme available with quick start package to install this theme only in one click.